Frequency response is the quantitative measure of the output spectrum of a system or device in response to a stimulus, and is used to characterise the dynamics of the system. It is a measure of magnitude and phase of the output as a function of frequency, in comparison to the input. It is a used to compute structural response when is applied a steady oscillation, like rotating machinery, helicopter blades, etc. Forces can be in the form of applied forces and/or enforced motions (displacements,velocities, or accelerations). 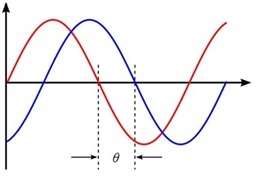 In nature the oscillatory loading is sinusoidal. The steady-state oscillatory response occurs at the same frequency as the loading. The response may be shifted in time due to damping in the system. The important results obtained from a frequency response analysis usually include the displacements, velocities, and accelerations of grid points as well as the forces and stresses of elements. The computed responses are complex numbers defined as magnitude and phase (with respect to the applied force) or as real and imaginary components, which are vector components of the response in the real/imaginary plane. 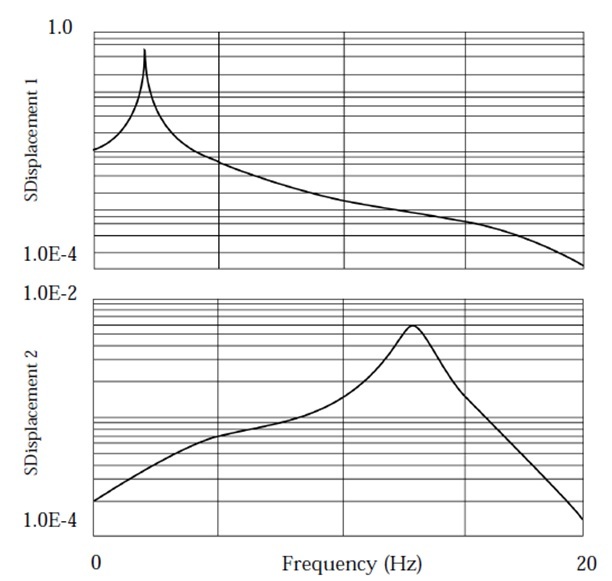 Two different numerical methods can be used in frequency response analysis. The direct method solves the coupled equations of motion in terms of forcing frequency. The modal method utilizes the mode shapes of the structure to reduce and uncouple the equations of motion. The choice of the method depends on the problem. This equation is solved by inserting the forcing frequency, and it represents a system of equations with complex coefficients if dampingis included or the applied loads have phase angles. The equations of motion at each input frequency are then solved in a manner similar to a statics problem using complex arithmetic. Damping simulates the energy dissipation characteristics of a structure. I can be accounted by damping elements CVISC, CDAMPi, and the direct Input Damping Matrixs B2GG and B2PP. 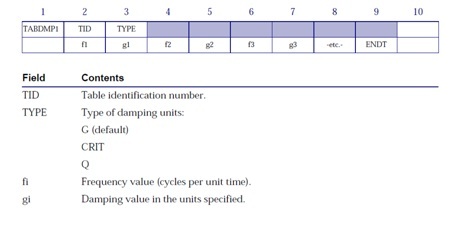 The TABDMP1 Bulk Data entry defines the modal damping ratios, where the frequency/damping pairs are specified, the damping value has to be applied to specific value of the frequency. The TABDMP1 table is activated by selecting the Table ID with the SDAMPING Case Control command. Linear interpolation is used for modal frequencies between consecutive values. ENDT ends the table input. Below there is an exemple of the interpolation / extrapolation for the modal damping. The frequency of 1 Hz is extrapolated by the entries at f = 2.0 and 3.0 Hz. The decoupled solution procedure used in modal frequency response can be used only if either no damping is present or modal damping alone (via TABDMP1) is used. Otherwise, the modal method uses the coupled solution method on the smaller modal coordinate matrices if nonmodal damping (i.e., CVISC, CDAMPi, GE on the MATi entry, or PARAM,G) is present. The modes whose resonant frequencies lie within the range of forcing frequencies must to be retain. For example, if the frequency response analysis must be between 100 and 3000 Hz, all modes whose resonant frequencies are in this range should be retained. For better accuracy, all modes up to at least two to three times the highest forcing frequency should be retained. We can select a specific range of mode frequencies by the eigenvalue entry (EIGRL or EIGR). Since for the default all computed modes are retained, three parameters are available to limit the number of modes included in the solution. PARAM,LFREQ gives the lower limit on the frequency range of retained modes, PARAM,HFREQ gives the upper limit, PARAM,LMODES gives the number of lowest modes to be retained. 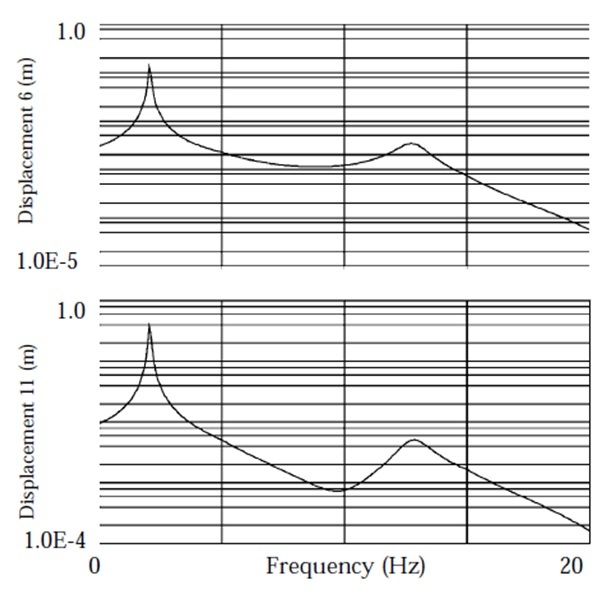 In modal frequency response analysis, two options are available for recovering displacements and stresses: the mode displacement method and the matrix method. Since the number of modes is usually much less that the number of excitation frequencies, the matrix method is usually more efficient and is the default. The mode displacement method can be selected by using PARAM,DDRMM,-1 in the Bulk Data. In general, larger models may be solved more efficiently in modal frequency response because the numerical solution is a solution of a smaller system of uncoupled equations. The major portion of the effort in a modal frequency response analysis is the calculation of the modes. For large systems with a large number of modes, this operation can be as costly as a direct solution. The direct method is more accurate than the modal method because the direct method is not concerned with mode truncation. The values of the coefficients are defined in tabular format on a TABLEDi entry. You need not explicitly define a force at every excitation frequency. Only those values that describe the character of the loading are required. MSC.Nastran will interpolate for intermediate values. The RLOAD2 entry is a variation of the RLOAD1, which defines the real and imaginary parts of the complex load, instead the RLOAD2 entry defines the magnitude and phase. The DAREA entry defines the degrees-of-freedom where the dynamic load is to be applied and the scale factor to be applied to the loading. A DAREA entry is selected by RLOAD1 or RLOAD2 entries, and several of DAREA entries may be used. 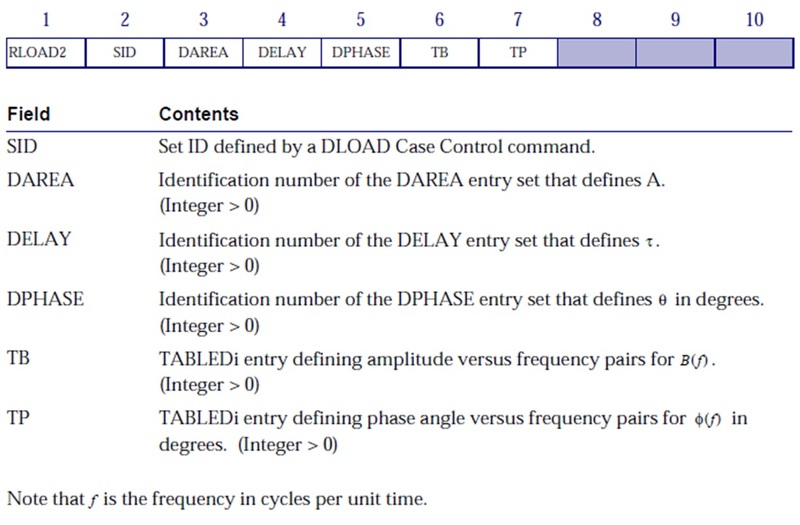 The DELAY entry defines the time delay in an applied load and the DPHASE entry defines the phase lead, either must to be defined with same grid point and component (see the Nastran quick guide for further informations). The TABLEDi entries (i = 1 through 4) each define a tabular function for use in generating frequency-dependent dynamic loads. The form of each TABLEDi entry varies slightly, depending on the value of i, as does the algorithm for y(x). The x values need not be evenly spaced. The TABLED1, TABLED2, and TABLED3 entries linearly interpolate between the end points and linearly extrapolate outside of the endpoints, as shown in the figure below. 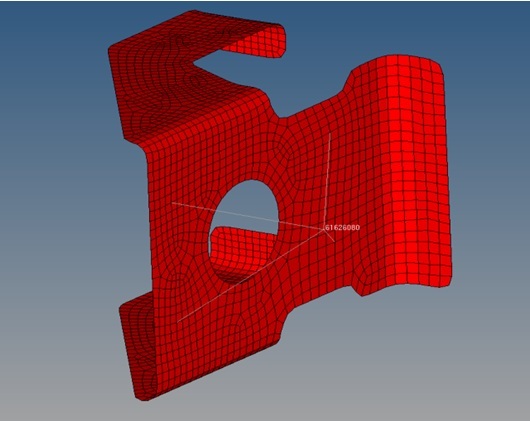 See the Nastran Quick Reference for the TABLED2, and TABLED3. 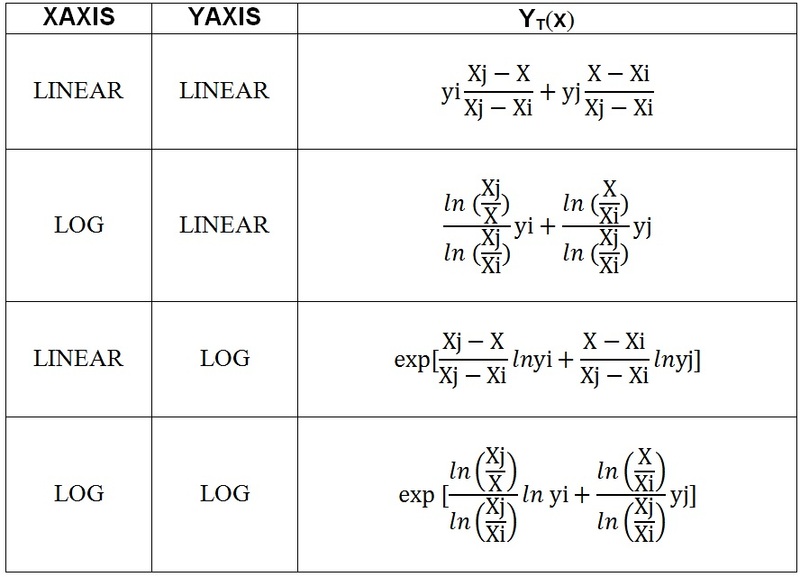 The choise of the TABLEDi depends of which algorithms is necessary for the interpolation and extrapolation of x and y entries. Since concentrated forces and moments can be specified directly using DAREA entries, to permit more flexibility and to use more complicated loadings the LSEQ entry is used. By this entry the DAREA has to be referred but without to use it, it is enough to use the same ID related to DAREA in RLOAD1 and LSEQ cards. 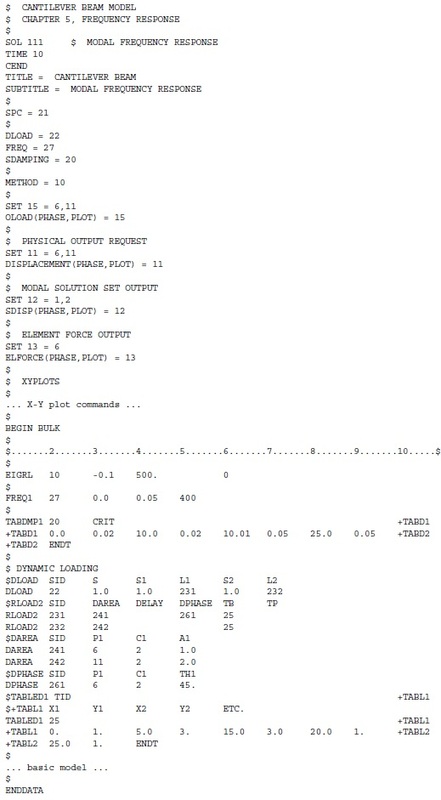 By the commands in the Case Control Section shown below, In figure 4 is clear its use. The Load Set ID may refer to one or more static load entries (FORCE, PLOADi, GRAV, etc.). There are six Bulk Data entries that you can use to select the frequency at which the solution is to be performed. Each specified frequency results in an independent solution at the specified excitation frequency. FREQ1 – Defines a starting frequency Fstart, a frequency incitement ∆f, and the number of frequency increments to solve NDF. FREQ2 – Defines a starting frequency Fstart, and ending frequency Fend, and a number of logaritmic intervals NF, to be used in the frequency range. 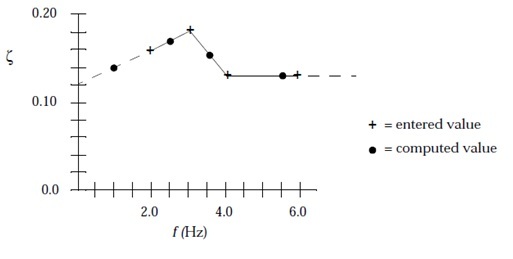 FREQ3 – Used for modal solution only, it defines the number of excitation frequencies (NEF) used between modal pairs (F1, F2) in a given range. By TYPE field is possible use linear (LINEAR, Default) or logarithmic (LOG) interpolation between frequencies. By a CLUSTER value greater than 1 provides closer spacing of excitation frequencies near the modal frequencies, where greater resolution is needed. FREQ4 – Used for modal solution only, it defines excitation frequencies using a spread about each normal mode within a range. F1 and F2 are respectively lower and upper bound of modal frequency range. The example FREQ4 chooses 21 equally spaced frequencies across a frequency band of 0.7 fN to 1.3 fN for each natural frequency between 20 and 2000. 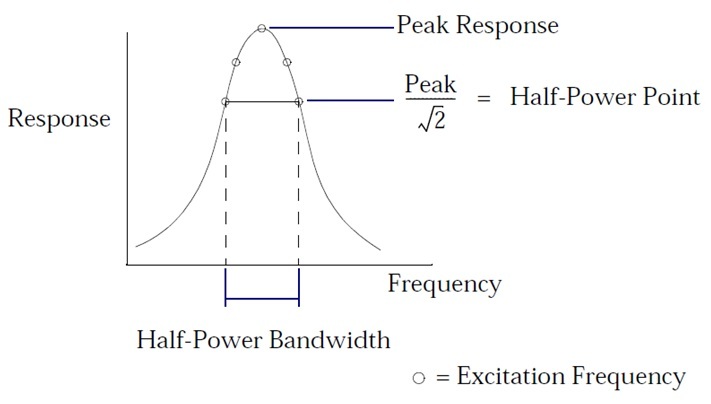 FREQ5 – Used for modal solution only, it defines excitation frequencies as all frequencies in a given range (F1 and F2 are respectively lower and upper bound of modal frequency range) as a defined fraction (FRi) of the normal modes. Undamped or very lightly damped structures exhibit large dynamic responses for excitation frequencies near resonant frequencies. Use a fine enough frequency step size (∆f ) to adequately predict peak response. Use at least five points across the half-power bandwidth (which is approximately 2ξfn for an SDOF system) as shown in the Figure below. For maximum efficiency smaller frequency spacing should be used in regions near resonant frequencies, and larger frequency step sizes should be used in regions away from resonant frequencies. Consider the bracket model shown in Figure below. An oscillating gravity load of 9*g = 9*9.81m/s2 =88.29 m/s2 is applied to the entire item in the z-direction. The model is constrained at its base. Modal frequency response is run from 0 to 140 Hz with a frequency step size of 0.2 Hz. Eigenvalues to 1000 Hz are computed using the Lanczos method. No modal damping is applied. Below is shown the input BDF file. The LSEQ entry is used to apply the gravity loads (GRAV entries). Note that the LSEQ and RLOAD1 entries reference a common DAREA ID (the node 61626080) and that there is no explicit DAREA entry. $+TABL1 X1 Y1 X2 Y2 ETC. GRAV 1 0 -88290. 0. 0. 1. The Figure below shows a logarithmic plot of the z-displacement and rotation magnitude of grid point 61626080, which is the concentrated mass at the center of the cutout. Logarithmic plots are especially useful for displaying frequency response results since there can be several orders of magnitude between the maximum and minimum response values. The output is generated by OUTPUT(XYPLOT) card. In output a .plt file and .pch files are generated. 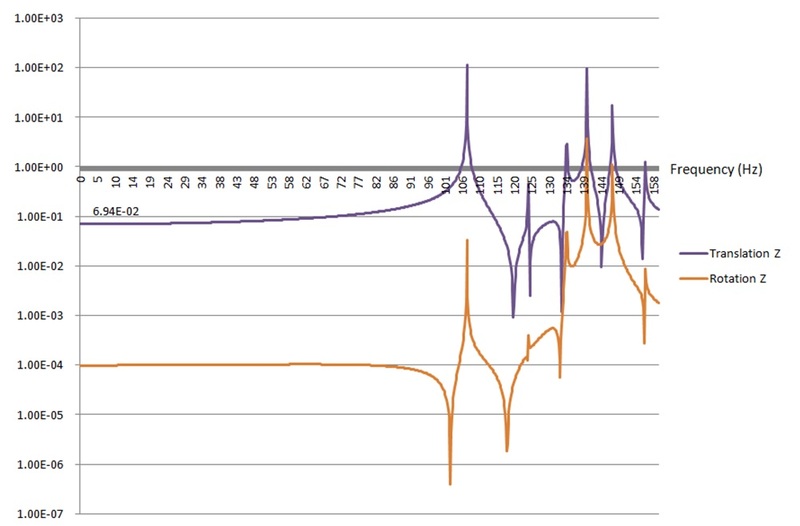 If you don’t have the NASTRAN NASTPLT Post Processor, you can produce the plot by mean the pch file, importing it in excel and creating easly the curves shown above. Where the current frequency corresponds to the modal frequency (in this case for the first mode is 107 Hz) for the resonance reason, the displacement is much higher (mainly for the displacement, since the load is not a rotation), there is a singularity. Consider a unidimensional model of the cantilever beam shown in the Figure below with unrestrained DOFs in the T2 and R3 directions. Two loads are applied: one at grid point 6 and the other at grid point 11. 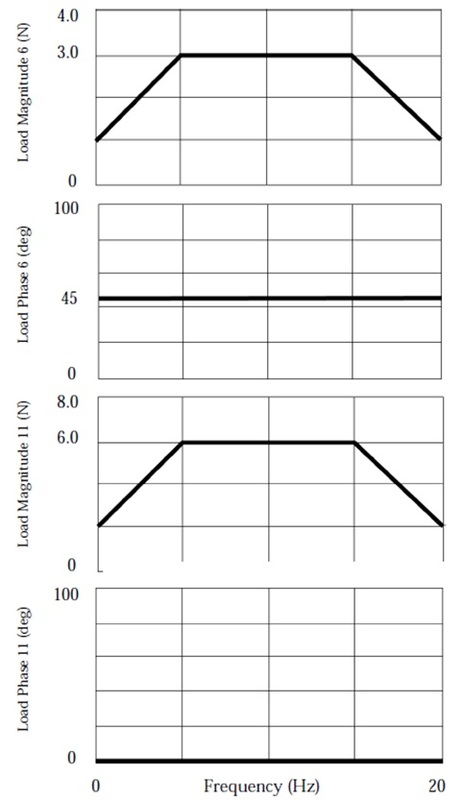 The loads have the frequency variation shown in Figure below. The loads in the figure are indicated with a heavy line in order to emphasize their values. The load at grid point 6 has a 45-degree phase lead, and the load at grid point 11 is scaled to be twice that of the load at grid point 6. 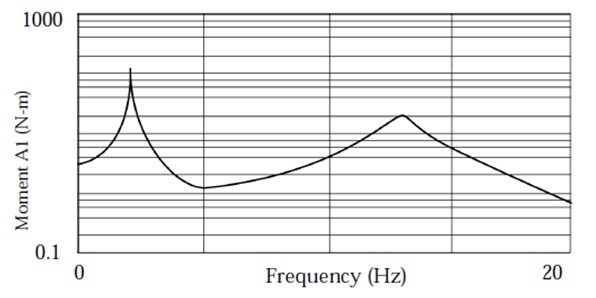 Modal frequency response is run across a frequency range of 0 to 20 Hz. Modal damping is used with 2% critical damping between 0 and 10 Hz and 5% critical damping above 10 Hz. Modes to 500 Hz are computed using the Lanczos method. Logarithmic plots of the output are shown in the following figures. Figure 11 shows the magnitude of the displacements for grid points 6 and 11. Figure 12 shows the magnitude of the modal displacements for modes 1 and 2. Figure 13 shows the magnitude of the bending moment at end A in plane 1 for element 6. This entry was posted in Varius and tagged 111, analysis, damping. Bookmark the permalink. Hi. why is SPC = 3? The ID of LSEQ is 3.
is it possible to download the complete model from your site. I’m doing a similar analysis and I would like to have a good reference. The SPC is related to only to boundary condition (to constraint the item), not for LSEQ (it generates the spatial distribution of dynamic loads from static load entries).